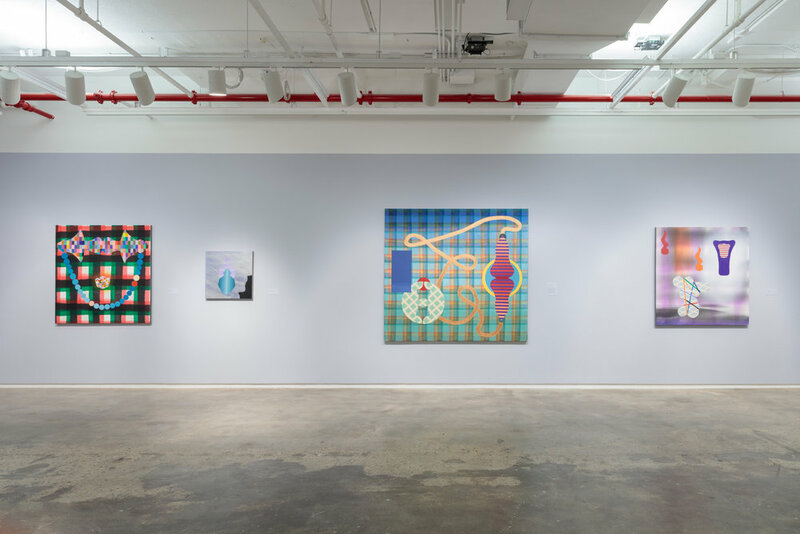 Installation view: Stephen Mueller: Orchidaceous, Hunter College Art Galleries, 2018. Photo by Stan Narten. 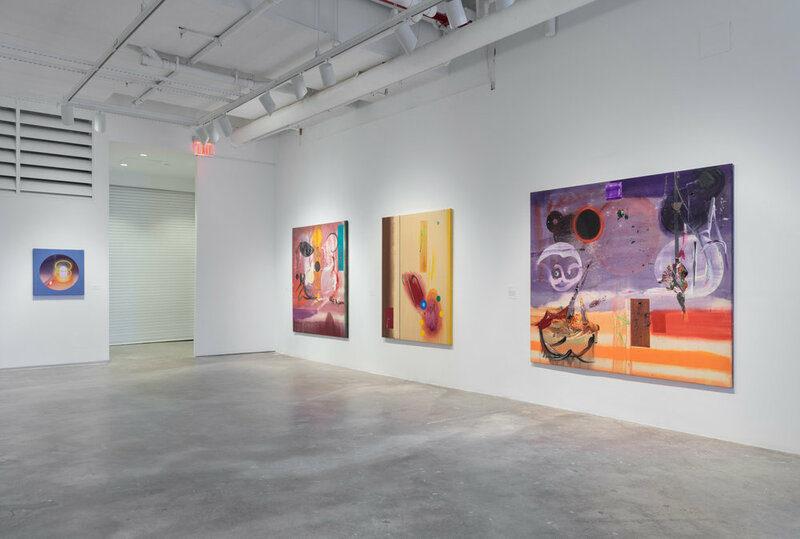 Stephen Mueller: Orchidaceous presents a rare look into the late painter’s oeuvre during a period of rigorous creative transformation. 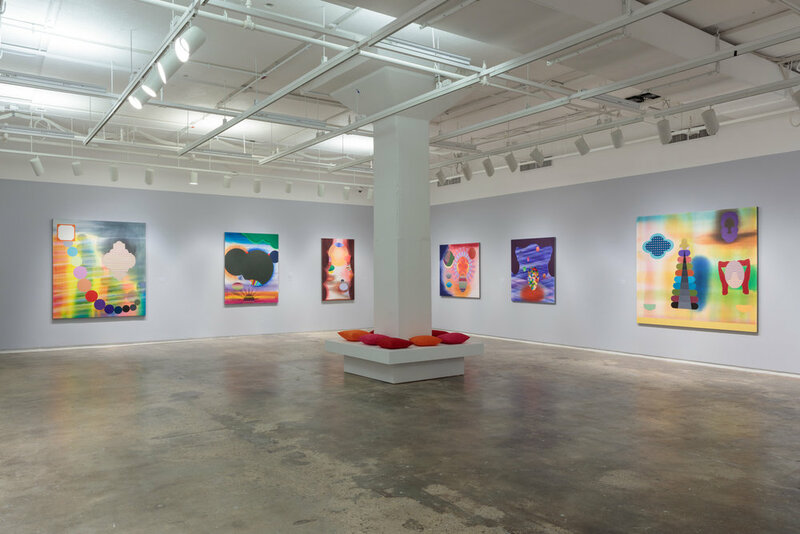 The exhibition traces Mueller’s formal and conceptual evolution from his high-octane, impetuous gestural work from the late 1980s to the spatial complexity, exquisite color and sensuous facture of his late paintings. With over 40 paintings and works on paper, this will be the artist’s most comprehensive exhibition to date. 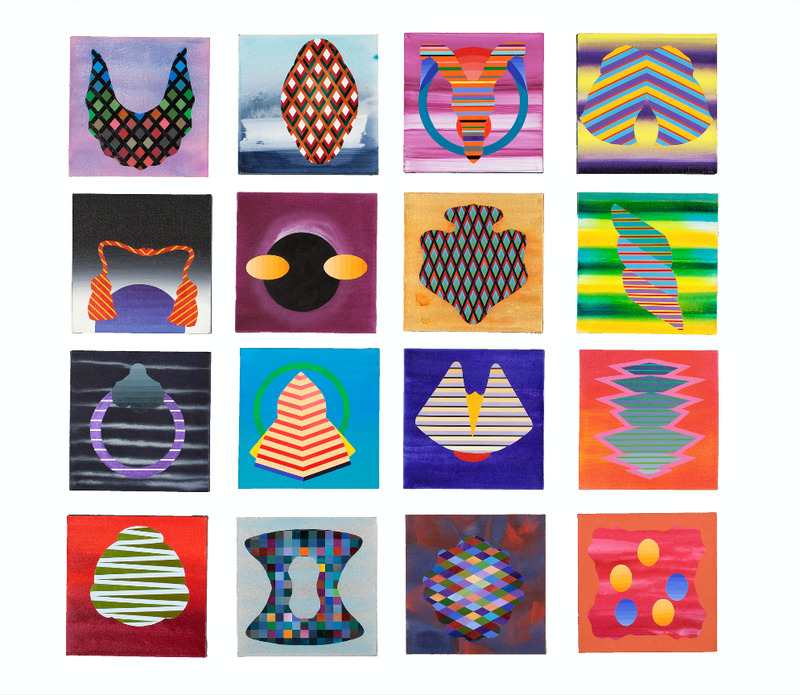 Stephen Mueller (1947–2011) was part of a loose-knit group of New York-based artists—including Mary Heilmann, Jonathan Lasker, Elizabeth Murray, Thomas Nozkowski, David Reed, Pat Steir, Gary Stephan and others—who transformed and reenergized American abstract painting during the late 1970s and 1980s. Building on the tenets of Color Field painting, Mueller’s subtle, luminous images anticipate many of the concerns of contemporary painting. The work overflows with visual puns and associations through sophisticated re-combinations of Asian iconography, cartoons, encyclopedic decorative traditions, new-age sensibility, and electric, synthetic color. Through his endlessly innovative use of acrylic paint, his canvases become portals into radiant space. The trajectory of Mueller’s work reveals an artist deeply committed to inventing his own articulation of the spiritual—an impulse that has particular appeal and resonance for painters working today. 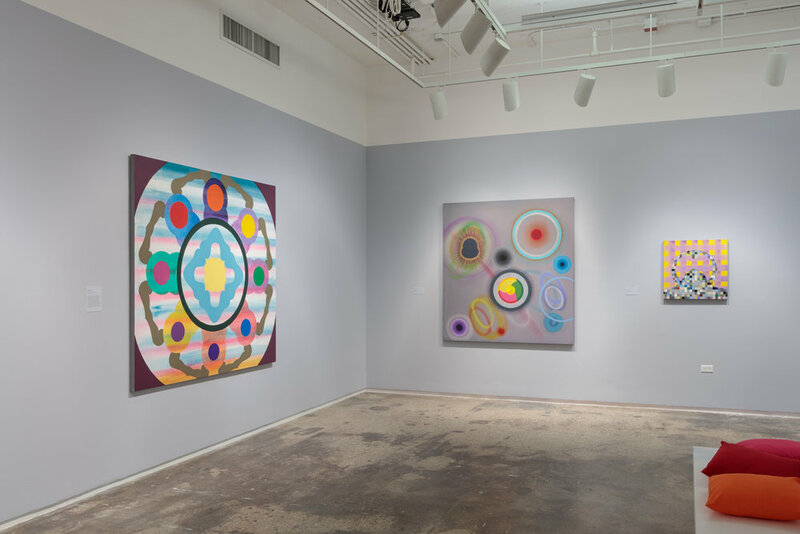 Stephen Mueller: Orchidaceous is the result of generous collaboration with the Estate of Stephen Mueller; Texas Gallery, Houston; and Lennon, Weinberg, Inc., New York. The exhibition is accompanied by a richly illustrated publication containing an essay by curator Carrie Moyer; Mueller’s own writing; and interviews with painters in Mueller’s creative circle, including Robin Bruch, Joe Fyfe, Judith Hudson, Shirley Kaneda, Melissa Meyer, Carl Palazzolo, Ellen Phelan, Pat Steir and Billy Sullivan. A full schedule of public programing will accompany the exhibition. Stephen Mueller had nearly 50 solo exhibitions during his lifetime. His paintings were included in numerous group exhibitions across the U.S., Europe, and Asia, including in two Whitney Biennials (1987, 1995). Curated by Klaus Kertess, Mueller’s 2003 mid-career exhibition was held at the Joslyn Museum, Omaha, NE. He was the recipient of grants and fellowships from the NEA, NYFA, the Gottlieb Foundation, the Guggenheim Foundation and the Pollock-Krasner Foundations, among others. Between 2003 and 2011, Mueller was a frequent contributor for artcritical.com, Gay City News, and Art in America. His work is held in the collections of the Whitney Museum of American Art, New York; the High Museum, Atlanta; the Brooklyn Museum; the Birmingham Museum of Art; and the Museum of Fine Arts, Houston, among others. His estate is jointly represented by Texas Gallery, Houston; and Lennon, Weinberg, Inc., New York. With Margaret Liu Clinton (Koenig & Clinton), Michael Findlay (Acquavella Galleries), and Fredericka Hunter (Texas Gallery and the Robert Rauschenberg Foundation). Moderated by Carrie Moyer. 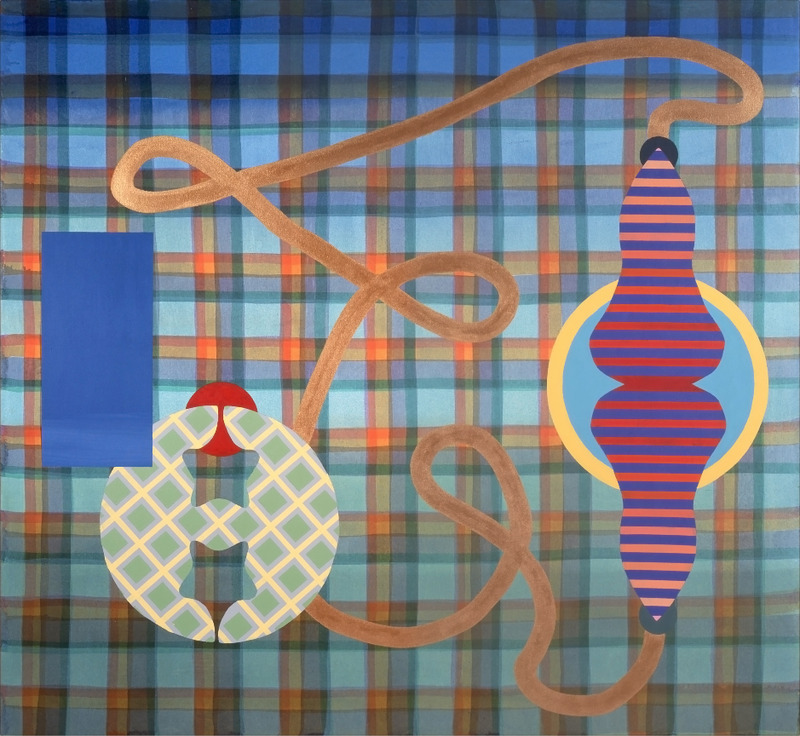 Stephen Mueller: Orchidaceous is made possible by the generous support of the David Bershad Family Foundation, the Susan V. Bershad Charitable Fund, Inc., Carol and Arthur Goldberg, Agnes Gund and Joan Lazarus in support of the Curatorial Certificate Program, and the Evelyn Kranes Kossak Fund for exhibition programming. The Hunter College Art Galleries also thank Paula Cooper Gallery, Larry Gagosian, Marian Goodman Gallery, and David Zwirner for their generous contributions to the Curatorial Certificate Program.